It means treatment of the musculoskeletal system, which includes muscles, bones, joints, nerves, ligaments, cartilage and discs in the spine. Physiotherapists have undergone years of training to learn techniques which work on the joints, muscles, ligaments and tendons within the body. After an injury, operation or just through lack of use joints can become stiff, muscles can become tight and ligaments/tendons less mobile. Also nerves can become less mobile due to scar tissue that may have settled around them. Manual therapy and massage can address these problems restoring movement in joints, length of muscles and mobility of nerves. Along with setting you exercises this treatment can help prepare your body to resist the stresses of daily activities and sport. Click on the anatomic image to find out more information. What does musculoskeletal physiotherapy involve? The assessment by the physiotherapist will determine which techniques they feel will benefit the most. This can be a combination of exercise, mobilising the joints, massage of muscles and soft tissues, advice and education, postural awareness and acupuncture. 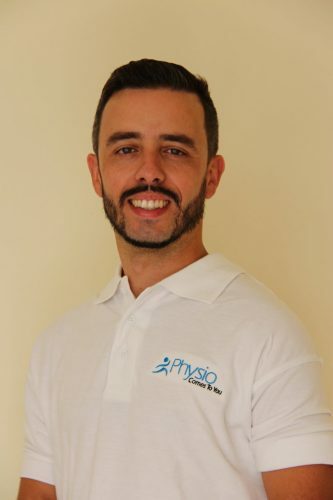 Looking for musculoskeletal physiotherapy in London? Our team is composed of experienced physiotherapists who provide comprehensive assessment and treatment to patients at home or work. Miss Hing consulted with Margaret and Michael who is husband and carer. (they care for each other) Both Margaret and Michael have told me how they found their consultation. "Miss Hing was professional, knowledgeable and sympathetic. She has been really though. Impressed at her gathering of background information. Examination of Margaret in all situations in their home/house, including concern for the dangerous access via two step front and dinning room doors. talks to mum about living without a stick. has a number of phrases like "you have got to get to Trust your leg again" Doing exercises explaining to Mum how the muscles are working to do the exercises and what the deficiencies are at the moment. Adding helpful comments and finesses to each exercise. My Dad concluded that Miss Hing's visit was so positive in so many ways that he really felt pleased to have spent this money." Thank you very much best wishes.